The project site is located southwest of the main campus and adjacent to Lake Lagunita, an artificial dry lake. Denning House will become the convening hub for the Knight-Hennessey Scholars. 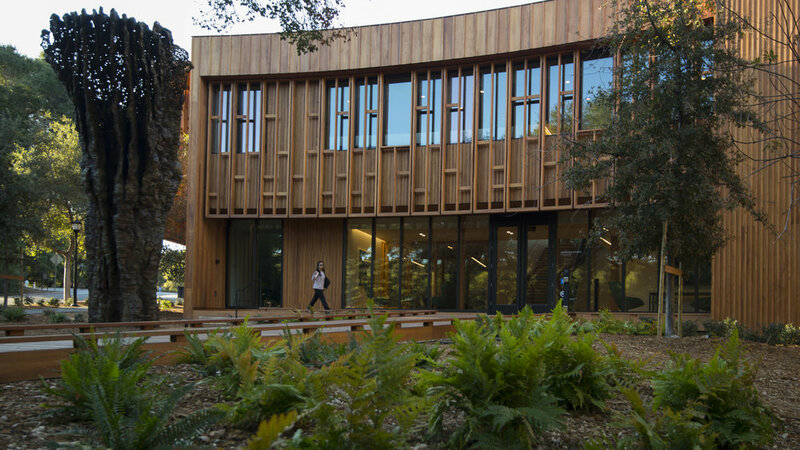 Each year the Knight-Hennessy Scholars program will identify a group of 100 high-achieving graduate students from around the world with demonstrated leadership and civic commitment to receive full funding to pursue a wide-ranging graduate education at Stanford, with the goal of developing a new generation of global leaders. 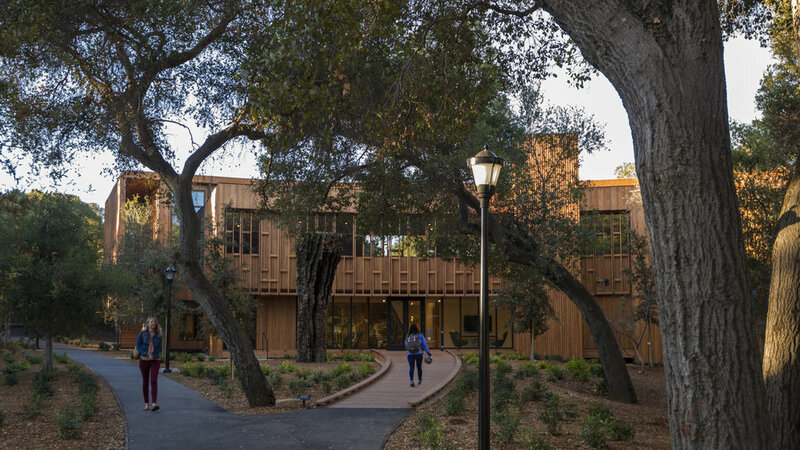 The landscape, with its grand wooden boardwalk, seeks to invite the scholars and their guests to the Denning House, which sits delicately in a grove of existing mature native trees complemented with proposed native plants, intertwined with curvilinear gravel paths, seating areas and a bicycle storage area.